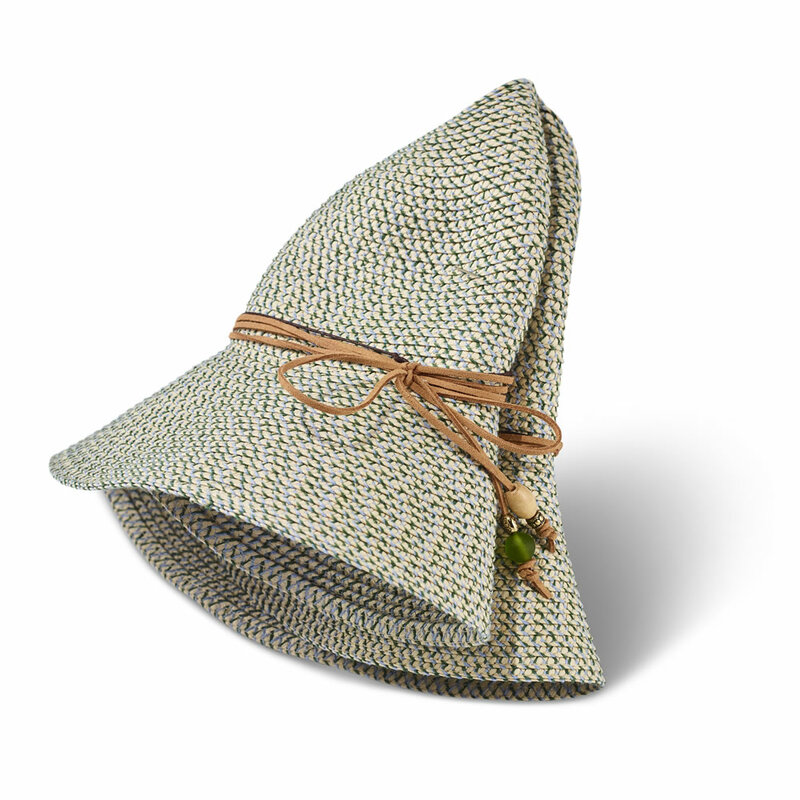 This is the lady’s sun hat that retains its shape even after being folded and packed away in a tote bag or suitcase. 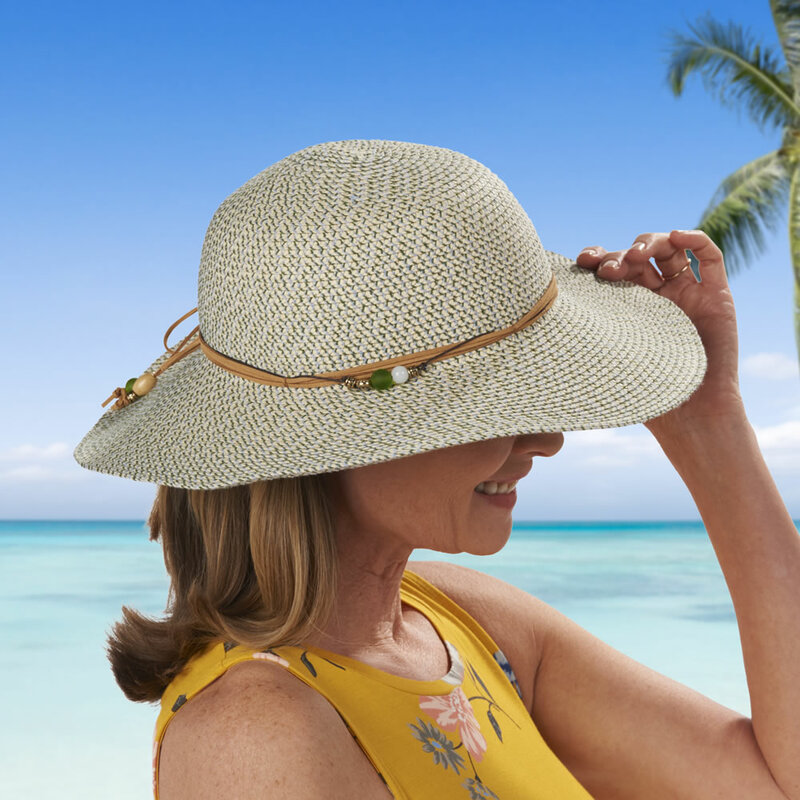 The lightweight, breathable fabric is woven with UPF 50+ sun protection, and the 3 1/2" brim shades the head, face and neck to further reduce risks of exposure to UV rays. 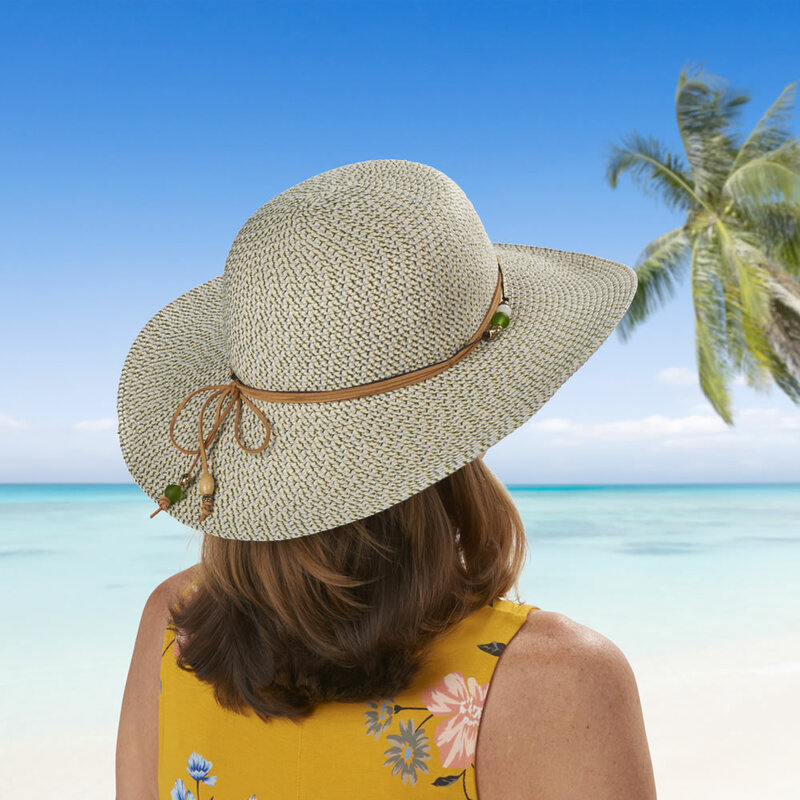 A soft internal sweatband wicks away perspiration to keep the forehead and hair dry. Internal adjustable sizing creates a custom fit. 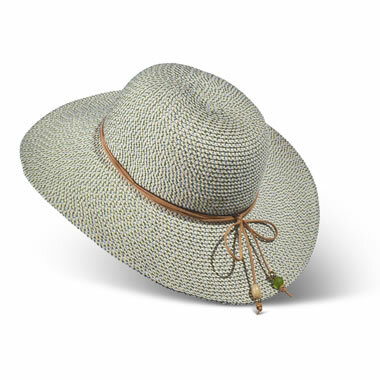 With decorative leatherette hatband. Avoid rain/wet conditions. Imported. Tan. 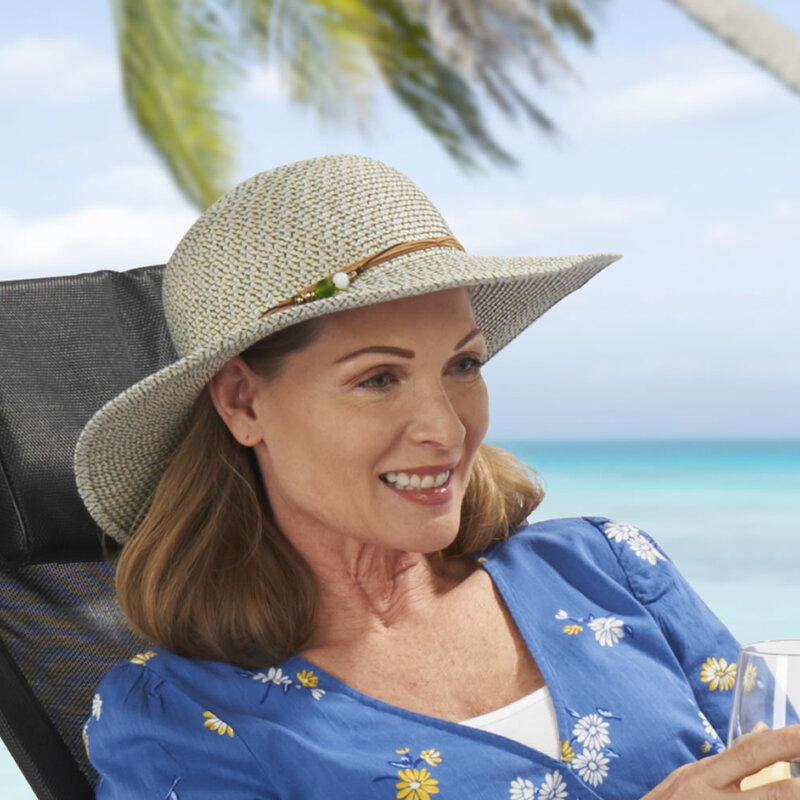 The Lady's Packable Sun Hat comes with The Hammacher Schlemmer Lifetime Guarantee. Items that we sell are guaranteed for their normal life under standard non-commercial use.